If you ever wondered when is the right time to add anti-aging products to your skincare routine, it is now. 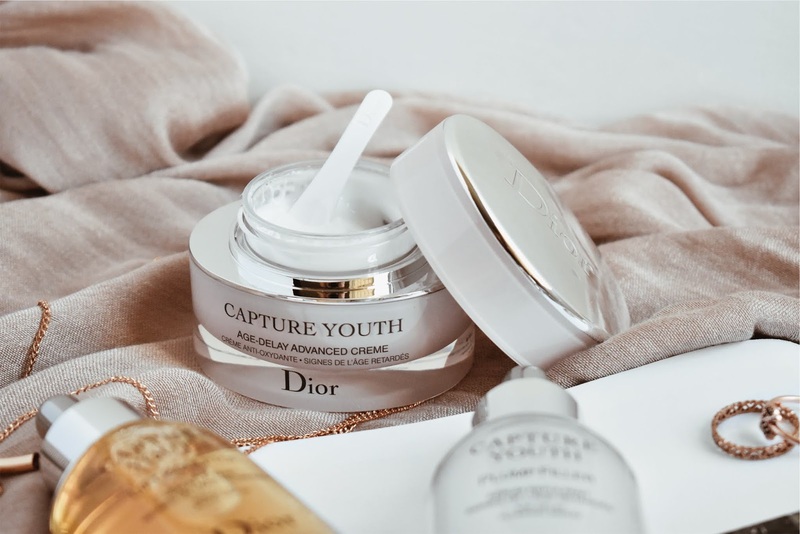 The new Dior Capture Youth Regimen has five serums for every skin concern and a base cream to mix as you wish. I tried these ones for a few weeks and now I have something to say about them. Si alguna vez te has preguntando cuándo es el tiempo correcto para agregar productos anti-edad a tu cuidado de piel, la respuesta es ya. El nuevo Régimen Capture Youth de Dior tiene cinco sueros hechos para cada problema de la piel y una crema base para mezclar a tu gusto. Probé estos por unas semanas y ahora tengo algo qué decir sobre ellos. 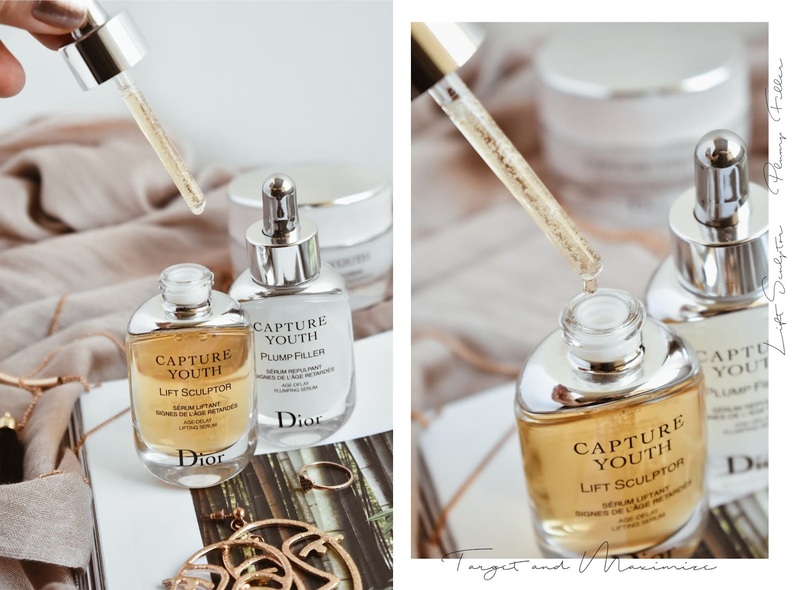 The Dior Capture Youth range has serums that were designed to delay the aging of the skin, as each works differently to every skin type and its needs. I chose the Lift Sculptor Serum to target dry and dull skin lacking the elasticity that causes wrinkles, this is the one that I've been using the most, especially on my forehead which is where I'm already noticing fine lines. The Plump Filler Serum is full of hyaluronic acid that instantly hydrates the skin and leaves a smooth and nourished surface. The combination of these two have made a noticeable difference on my skin texture in a total of three weeks. It looks and feels bouncy, glowy, and very hydrated. 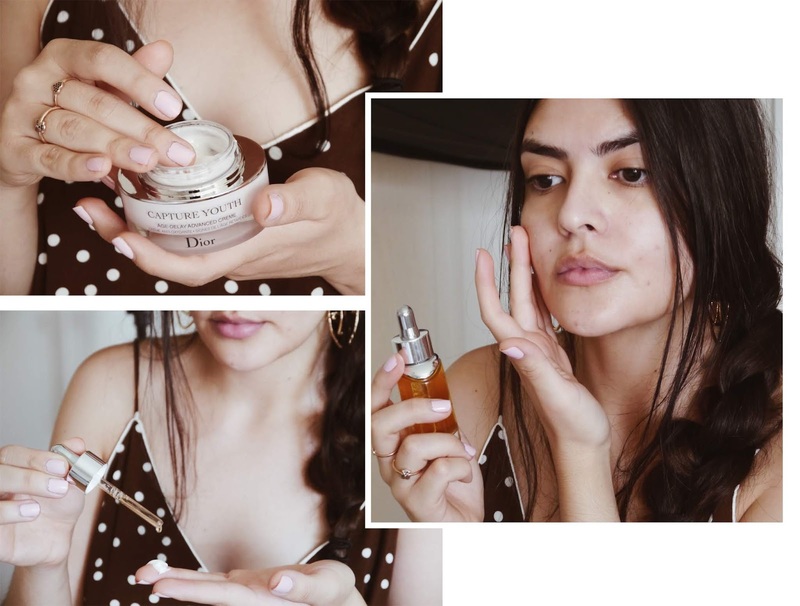 La gama Capture Youth de Dior tiene cinco sueros que fueron diseñaos para atrasar el envejecimiento de la piel, ya que cada uno funciona diferente para cada piel y sus necesidades. Elegí el Lift Sculptor Serum para combatir la piel seca y apagada sin la elasticidad que causa las arrugas, este es el que más he usado, en especial en mi frente que es donde ya puedo comenzar a ver líneas finas. El Plump Filler Serum está lleno de ácido hialurónico que instantáneamente hidrata la piel y deja una superficie suave y nutrida. La combinación de los dos han hecho un cambio muy notorio en la textura de mi piel en un total de tres semanas. Se ve y se siente avivada, luminosa y muy hidratada. The Age-Delay Advance Creme has been formulated to be mixed with any of the serums as a specialized treatment or by itself to prevent skin aging with its antioxidant ingredients. It has a super lightweight consistency although it doesn't absorb right away, this gives you some time to massage it onto your skin and really work in the products. La Crema Advance Age-Delay fue formulada para mezclarse con cualquiera de los sueros como un tratamiento especializado o por sí misma para prevenir el envejecimiento de la piel con sus ingredientes antioxidantes. Tiene una consistencia súper ligera aunque no se absorbe de inmediato, esto te da tiempo para darte masaje hasta que la piel lo absorba bien. After two weeks of trying the serums I started noticing my skin looked a lot better in terms of texture, this means the fine wrinkles on my forehead looked smoother and less prominent and the surface of my skin was feeling more plump, the way if feels right after a sheet mask. On the third week I alternated the serums with another moisturizer that I have just to test their performance by themselves. I noticed my skin was still looking better each day but felt a little less bouncy when I didn't use the complimentary creme in the range. 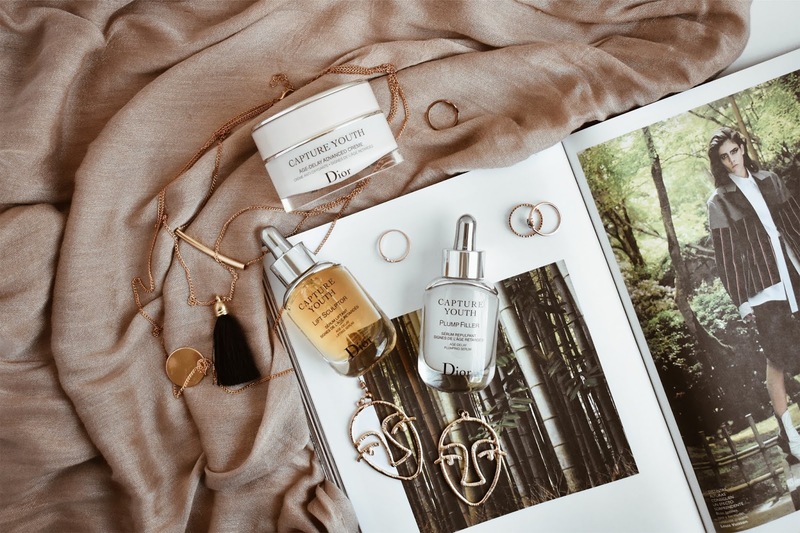 I absolutely love all of these products but if you're only able to get your hands on one of them, my recommendation would be to go for the serums first, as they're the ones holding they key ingredients to make your skin better. Después de dos semanas de probar los sueros comencé a notar que mi piel se veía mucho mejor en términos de textura, esto significa que las líneas pequeñas en mi frente se veían mucho más suaves y menos prominentes y que la superficie de mi piel se sentía más elevada, así como se siente justo después de aplicarte una mascarilla. En la tercer semana alterné los sueros con otra crema que tengo solo para probar su desempeño por sí solos. Me di cuenta que mi piel aún seguía mejorando pero se sentía un poco menos avivada cuando no usaba la crema complementaria de la gama. Yo amo por completo estos productos pero si solo puedes conseguir uno de ellos, mi recomendación sería que eligieras primero un suero, ya que son los que tienen los ingredientes clave para hacer tu piel mejor. 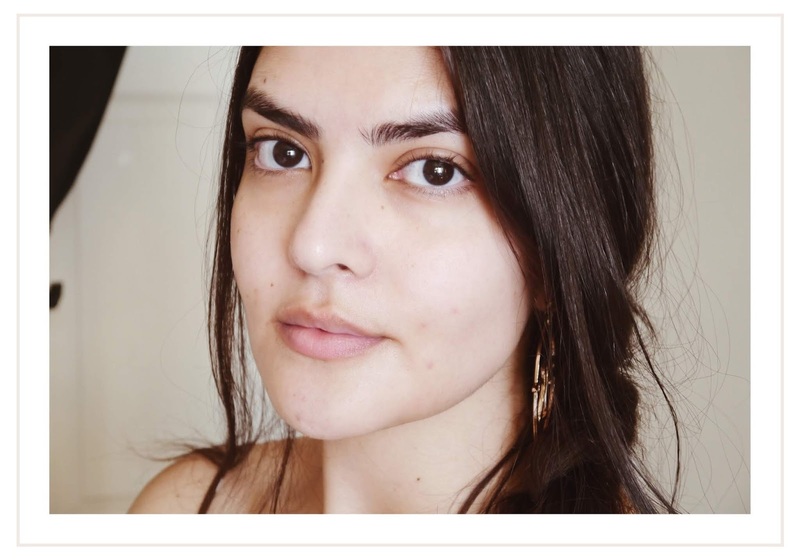 Face completely free of makeup, wearing the Age-Delay Creme and Lift Sculptor Serum. Rostro completamente libre de maquillaje, usando la Crema Age-Delay y el Suero Lift Sculptor.